Yes, I totally go through phases with ingredients like that. Burrata was definitely in there for a spell. Right now it’s buffalo mozzarella and corn. Not necessarily together…just in general. I’ll be honest, I’m SUPER picky abut fennel. It can’t be anywhere near raw. Like…at all. 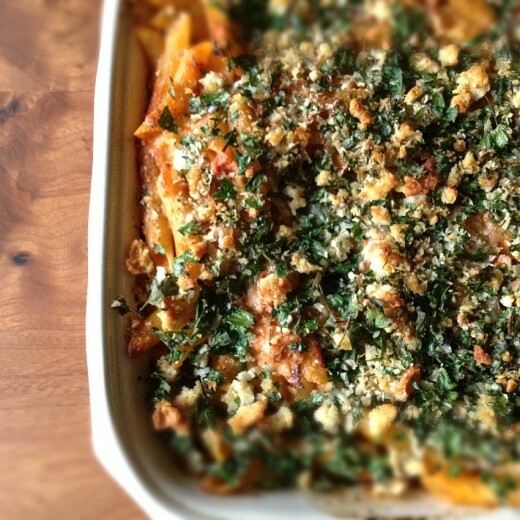 Which means this baked pasta is perfecto! I have always been a freak for fennel. Mmm, I love fennel too. And pasta. And vodka sauce. I was just starting to put together a menu for our upcoming boat trip to BC and wanted to mix it up this year. 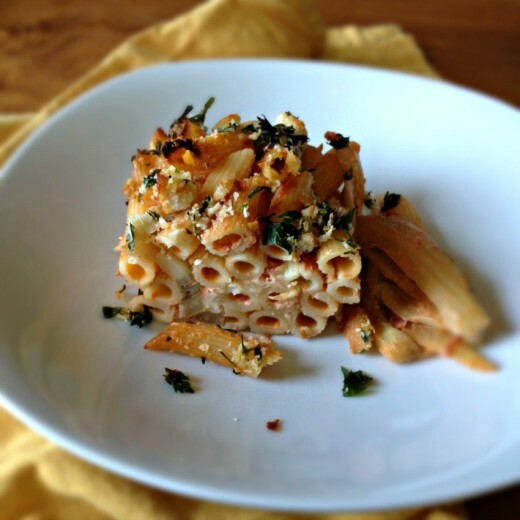 This pasta dish will be made ahead and is coming with us – I can’t wait to try it! OMG..how funny. I actually went to Flemings Steakhouse yesterday and they taught me how to make Burrata . the stuff is amazing AND relatively easy to make. love fennel, in any shape or form of cooking or non-cooking. It can be a bit expensive, and I don’t think I do a good job with the prep work. I probably waste a lot. 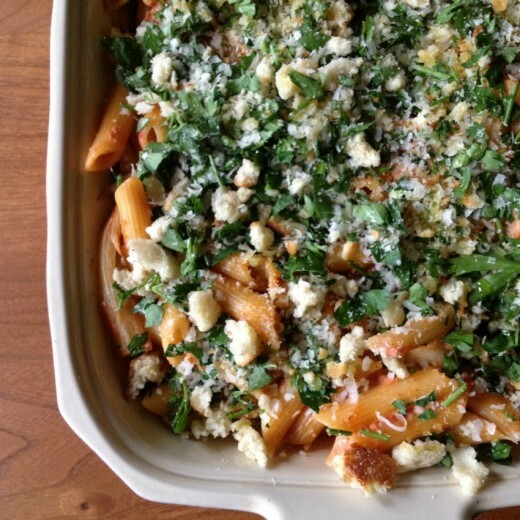 this recipe is a keeper, and it’s going to my pinterest hyper-inflated Cooking board. love your pasta! it has such a beautiful color. my apetite has suddenly gone through the roof!